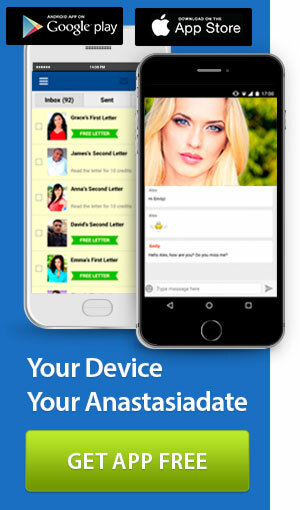 Here at AnastasiaDate, we believe in dating, not data. These days it seems like everyone is trying to crack the code and crunch the numbers of attraction, but there’s no universal quantitative measurement for butterflies in your stomach, or the throb of your heart.In fact, there is nothing factual or scientific about romance that can be applied to every single person out there–how boring would life be if there were? We’re not interested in boring. We want you to connect–to interact spontaneously with whomever strikes your fancy, and we can’t wait for you to feel that spark that is your heart’s unique way of letting you know something’s stirring in there. You get a message that you hoped to receive from your special someone at the exact moment when you needed it most. You start focusing on the other person in a video chat session more than sneaking self-conscious peeks at yourself in the thumbnail. You eat a type of food you’d never dream of trying just because she made it for you. And you enjoy it. They’re the first person you want to tell when something good happens to you. They’re the first person you want to tell when something bad happens to you. When you (finally!) 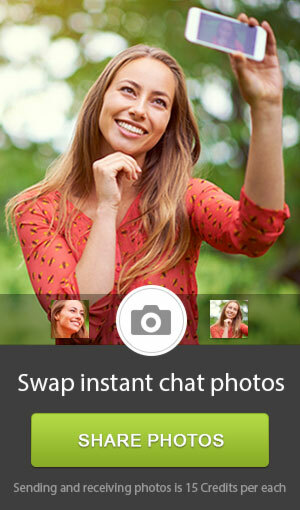 meet someone offline for the first time, and feel like you’ve known them all along. Spending a full day in bed with them, and not thinking about the outside world. You adore their pet(s), too. Feeling comfortable letting your guard down at dinner, and really chowing down in front of them. When you’re stricken by how beautiful she is, even without makeup on. You get excited try the things that they love—sports, hobbies, TV shows, whatever. Your friends know their name. Talking on the phone doesn’t seem like a chore—you genuinely look forward to it. Just the thought of her makes you smile. You worry about them, and wonder about how their day is going. You feel comfortable just being together in silence. If they’re far away from you, you automatically think in their time zone. You can picture your kids. You happily let them have the last sip or bite. Blemishes and physical imperfections? You don’t even notice them. You’re stricken by just a hint of nausea when you’re about to see them or video chat with them. You didn’t get through this whole list without messaging them at some point. *I had initially set out to make a list of 20 things, but as I was finishing it up, three more came to me and I just thought I’d leave them there. It’s OK if things don’t happen exactly the way you thought they would. It’s OK to have an odd-numbered list, or an unconventional attraction. It’s OK to just jump in and see what happens. That’s what we believe in, and we’re happy you’re here.